The early Polynesians brought sugarcane with them to the Islands. Kō (sugarcane) was planted as a subsistence crop - with domestic, medicinal and spiritual uses. In 1802, processed sugar was first made in the islands on the island of Lānaʻi by a native of China, who came here in one of the vessels trading for sandalwood and brought a stone mill and boilers. After grinding off a small crop and making it into sugar, he went back to China the next year. James Campbell, who arrived in Hawaiʻi in 1850 - having served as a carpenter on a whaling ship and then operated a carpentry business in Lāhainā, started a sugar plantation there in 1860. The small mill, together with cane from Campbell's fields, manufactured sugar on shares for small cane growers in the vicinity. Soon after the establishment of the new plantation, Henry Turton and James Dunbar joined Campbell. Under the name of Campbell & Turton, the company grew cane and manufactured sugar. The small sugar mill consisted of three wooden rollers set upright, with mules providing the power to turn the heavy rollers. The cane juice ran into a series of boiling kettles that originally had been used on whaling ships. When the nearby Lāhainā Sugar Company, a small company founded by H Dickenson in 1861, went bankrupt in 1863, its assets were acquired by Campbell and his partners. In 1865, the plantation became known as Pioneer Mill Company (that year Dunbar left the company.) 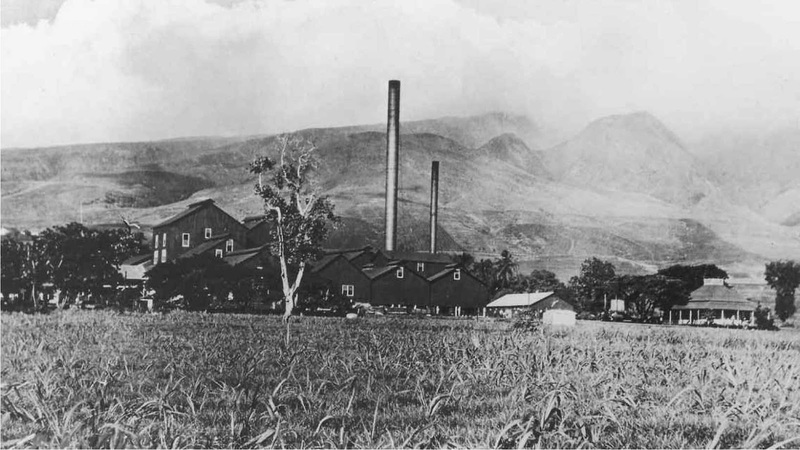 By 1874, Campbell and Turton added the West Maui Sugar Company, a venture of Kamehameha V, to the holdings of Pioneer Mill Company. The Pioneer Mill Company was extremely profitable, enabling Campbell to build a large home in Lāhainā and to acquire parcels of land on Maui and Oʻahu. Campbell became known by the Hawaiians as “Kimo Ona-Milliona” (James the Millionaire). Despite his success in sugar, his interests turned to other matters, primarily ranching and real estate. In 1877, James Campbell sold his half interest to partner Henry Turton for $500,000 with agents Hackfeld & Company holding a second mortgage of $250,000. The company's charter was dated in 1882, but by 1885, Mr. Turton declared bankruptcy and sold the property back to James Campbell and to Paul Isenberg, who was associated with Hackfeld & Co. Mr. CF Horner was selected to manage the plantation. 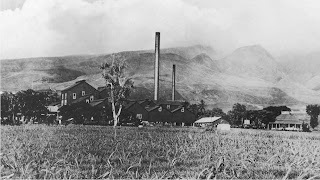 With later acquisitions of additional West Maui lands, Pioneer Mill was incorporated on June 29, 1895. Horner sold his interest to American Factors, formerly Hackfeld & Co., and in 1960, Pioneer Mill Company became a wholly owned subsidiary of Amfac. Irrigation of Pioneer Mill Company's fields, an area that eventually extended 14-miles long and 1 1/2-miles wide with altitudes between 10 and 700 feet, was accomplished with water drawn from artesian wells and water transported from the West Maui Mountains. The McCandless brothers drilled the first well on Maui for Pioneer Mill Company in 1883. In 1937, mechanically harvested cane was bringing so much mud to the factory that Pioneer Mill Company began the development of a cane cleaner. Between 1948 and 1951, a rock removal program rehabilitated 3,153 acres of Pioneer land to permit mechanical planting, cultivating, and harvesting. In 1952, the railroad was eliminated and a year later new feeder tables were conveying cane directly from cane trucks into the factory. Lāhainā Light and Power Company, Lāhainā Ice Company, the Lāhainā and Puʻukoliʻi Stores, and the Pioneer Mill Hospital were associated with the plantation, providing services to employees as well to Lahaina residents. Faced with international competition, Hawaiʻi's sugar industry, including Pioneer Mill Company, found it increasingly difficult to economically survive. At the industry's peak in the 1930s, Hawaiʻi's sugar plantations employed more than 50,000-workers and produced more than 1-million tons of sugar a year; over 254,500-acres were planted in sugar. That plummeted to 492,000-tons in 1995. A majority of the plantations closed in the 1990s. Seeing hard times ahead, Pioneer Mill Company took 2,000-acres out of cane during the 1960s to develop Kāʻanapali as a visitor resort destination. By 1986, the plantation had reduced its acreage down to 4,000-acre (which at its height had 14,000-acres planted in cane.) After years of losing money, in 1999, Pioneer Mill closed its operations. The image shows Pioneer Mill (kapolei-com.) In addition, I have added other related images in a folder of like name in the Photos section on my Facebook and Google+ pages.